It’s been a pretty long time—nine months!—since I’ve shared contributor news, so I have a long list of stuff for you to read and enjoy below. Margaret Atwood has a new novel out: The Heart Goes Last. Kelly Link‘s “The Game of Smash and Recovery” was podcasted and published by Strange Horizons. E. Lily Yu‘s “Woman at Exhibition” appeared in Uncanny. Tor.com published Tina Connolly‘s story “That Seriously Obnoxious Time I Was Stuck at Witch Rimelda’s One Hundredth Birthday Party.” Her YA fantasy Seriously Wicked is out from Tor Teen. Kathy Fish‘s “Abandon All Thoughts” appeared in Journal of Compressed Creative Arts; her “Woe” in The Harpoon Review; and her “The Four O’Clock Bird” in People Holding. 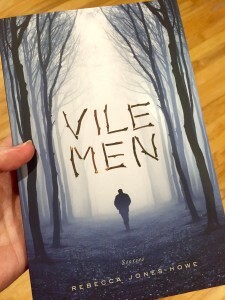 Rebecca Jones-Howe has a wonderful new collection of fourteen short stories, Vile Men, out from Dark House Press. She also has a short story, “Cat Calls,” in Exigencies: A Neo-Noir Anthology. Heather Lindsley‘s “Werewolf Loves Mermaid” appeared in Lightspeed. Cat Rambo‘s “Bit Player,” “The Haunted Snail,” and “You Have Always Lived in the Castle” all appeared in Daily Science Fiction. Beneath Ceaseless Skies included her “Primaflora’s Journey.” She was also interviewed for Clarkesworld Magazine by Alvaro Zinos-Amaro. Her novel Beasts of Tabat is out from Tabat Press. Rachel Swirsky‘s story co-written with Ann Leckie, “Maiden, Mother, Crone,” appeared in Lightspeed. Damien Angelica Walters‘s “Not My Circus, Not My Monkeys: The Elephant’s Tale” and “Requiem, for Solo Cello” appeared in Apex Magazine. Her work has also appeared alongside Kathy Fish, Amina Gautier, and Tina May Hall in The Lineup: 20 Provocative Women Writers. Lisa Bolekaja‘s “Three Voices” appeared in Uncanny. Zen Cho‘s Sorcerer to the Crown, the first of three historical fantasy books set in Regency London, is out from Ace Books (US) and Macmillan (UK and Commonwealth). She has also edited Cyberpunk: Malaysia, and her story “Monkey King, Faerie Queen” is in Kaleidotrope. Indrapramit Das‘ “Weep For Day” appeared in Clarkesworld. Tom Doyle‘s new novel The Left-Hand Way is out from Tor Books. Peg Duthie‘s “Nowhere to Go” appeared in Moonsick Magazine, her “From a Mermaid Mama” in First Class; and her found poetry in Galatea Resurrects. Ken Liu‘s “Crystal” appeared in Daily Science Fiction; his “The Ussuri Bear” appeared in Lightspeed; and his opinion piece “Another Word: It’s Good to Be Lazy and Foolish” appeared in Clarkesworld. 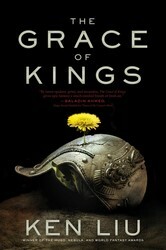 His first novel, The Grace of Kings, is out from Saga. Sarah Pinsker‘s “And We Were Left Darkling” appeared in Lightspeed; her “Last Thursday at Supervillain Supply Depot” were in Daily Science Fiction; her “Remembery Day” in Apex; and her “When the Circus Lights Down” was in Uncanny. Erica L. Satifka‘s “Bucket List Found in the Locker of Maddie Price, Age 14, Written Two Weeks Before the Great Uplifting of All Mankind” appeared in Lightspeed; her “Clarity,” “Summer in Realtime,” and “Dear Conqueror” all appeared in Daily Science Fiction; and her “Loving Grace” appeared in Clarkesworld. Sonya Taaffe‘s “A Wolf in Iceland Is the Child of a Lie” appeared in Lightspeed, her “On Two Streets, with Three Languages” in Interfictions; her “ζῆ Και βασιλεúει” in Ideomancer; and her “Antique Water Magic” in inkscrawl. Bogi Takács‘ “Forestspirit, Forestspirit” appeared in Clarkesworld, and eir “Six Hundred and Thirteen Commandments” in Ideomancer. James Dorr‘s “Lobster Boy and the Hand of Satan” is out in How to Trick the Devil, and his “Marcie and Her Sisters” is in Reel Dark. Aidan Doyle‘s “How I Saved the Galaxy (on a Limited Budget)” appeared in Daily SF. David C. Kopaska-Merkel published a poetry chapbook, SETI Hits Paydirt, with Popcorn Press. His “Habitable Zone” appeared in Chrome Baby 38. Ursula Pflug‘s “Python” appeared in Lightspeed. Mary Turzillo with Marge Simon (a HtLoOP contributor) and Christina Sng all had poems in Eye to the Telescope. Turzillo also has a chapbook, A Guide to Endangered Monsters, with NightBallet Press. Shira Lipkin‘s “Never Chose This Way” appeared in Apex. Mari Ness published “The Forge,” “The Fox Bride,” “The Petals,” and “The Dollmaker’s Rage” in Daily Science Fiction; “Sometimes Heron” in Lackington’s; “A Note Found Beneath A Moonstone” in inkscrawl; “Three Limericks” in Stone Telling; and “Thirteen Ways of Looking at a Dragon” at Tor.com. Kenneth Schneyer‘s “The Sisters’ Line” (co-written with Liz Argall) appeared in Uncanny. The Twelfth Planet book Letters to Tiptree includes many talented writers, including URB authors Rose Lemberg, Alex Dally MacFarlane, Sarah Pinsker, Cat Rambo, Nisi Shawl, Lucy Sussex, Rachel Swirsky, and Bogi Takács. And, finally, Flight 505: A Novella‘s author Leslie Bohem has a TV series with Hulu involving psychics and organized crime that’s going to be awesome. Entry filed under: News. Tags: Aidan Doyle, Alex Dally MacFarlane, Apocalypse Now, Benjamin Rosenbaum, Bogi Takacs, Bonnie Jo Stufflebeam, Cat Rambo, Choose Wisely, Christina Sng, Damien Angelica Walters, Daniel Jose Older, David C. Kopaska-Merkel, E. Lily Yu, Erica L. Satifka, Flight 505, Heather Lindsley, how to live on other planets, Indrapramit Das, James Dorr, Kathy Fish, Kelly Link, Ken Liu, Kenneth Schneyer, Leslie Bohem, Lisa Bolekaja, Lucy Sussex, Margaret Atwood, Marge Simon, Mari Ness, Mary Turzillo, Nisi Shawl, Peg Duthie, Rachel Swirsky, Rebecca Jones-Howe, Rose Lemberg, Sarah Pinsker, Shira Lipkin, Sonya Taaffe, The Museum of All Things Awesome and That Go Boom, Tina Connolly, Ursula Pflug, Zen Cho.